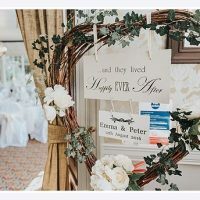 Set in the heart of glorious Derbyshire countryside, Makeney Hall Hotel provides an idyllic venue for wedding and civil celebrations. The magnificent Victorian Country Mansion stands in six acres of beautifully kept gardens with sensational views across the Amber Valley. With a choice of four charming licensed suites and fairy-tale outdoor ceremony area, you can create the perfect setting for your memorable day. Makeney Hall Hotel celebrates couple’s individuality by offering customisable packages. Select the features you want from the Brochure and the dedicated wedding team will create a bespoke proposal for you. For the ultimate stress free planning, the exclusive use package covers venue, food and drinks, decorations, entertainment and much more. Included in this package is the remarkable opportunity to have a tree planted in the grounds to mark the union. 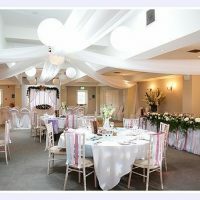 Neutrally decorated, the Milford Suite provides a blank canvas for the decorations of your choice. Benefitting from air conditioning and private bar, this is the perfect setting for couples who want a grand celebration. The Conservatory is bathed in natural light from the large window that command delightful views over the gardens. Adjacent to this elegant setting is the traditionally decorated Lavinas. Featuring oak panels and a striking fireplace, this warm and intimate space is perfect for civil ceremonies and evening entertainment. 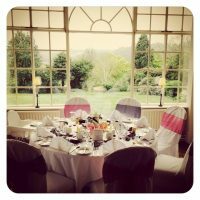 With views over the beautiful gardens, the Chartwell Suite is the ideal setting for smaller celebrations. Classical features lent towards the character of this suite including the high intricate plaster ceiling and large bay windows. Perfect for small intimate gatherings, the Chevin is subtlety lit and decorated to reflect the period character of the hotel. 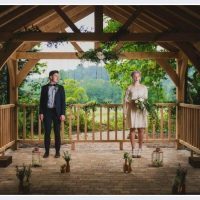 If you have dreamed of tying the knot outdoors, the woodland garden and open log cabin, create an ethereal setting for magical celebrations. Surrounded by lush trees and tranquil water gardens, the romance of the secret garden will impress your guests. 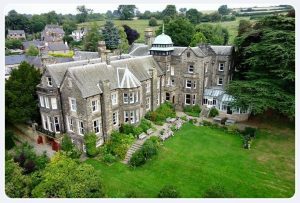 All 46 bedrooms at Makeney Hall Hotel are comfortably appointed, offering plenty of accommodation for your guests. For the ultimate luxury, suites benefit from features including roll top bathtubs and saunas.